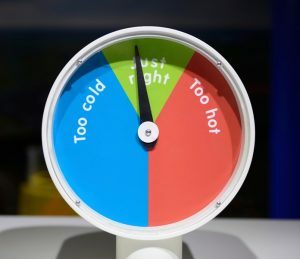 Do you use a central air conditioner or a heat pump in order to cool your home throughout the summer season? If so, then you are also using ductwork in order to distribute that cool, comfy air throughout your home. If that ductwork is in poor condition, then you are going to run into a number of very serious issues in your home. Just because your air ducts are largely hidden from view does not mean that you can push your air ducts out of mind. Your ductwork can be compromised in a number of ways, from damages sustained during remodeling to basic tears and even corrosion due to undiscovered leaks. 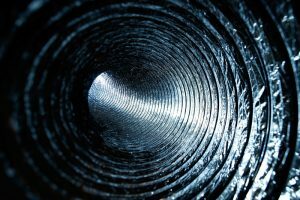 Whatever the case may be, having these air ducts tested and sealed by a qualified professional is definitely in your best interest. When you schedule your duct sealing and testing services in Kingsburg, CA with our team, you can count on cooling your home with the great results that you deserve. When things heat up around here, the temperature can really soar. That is why you need to know that you have a reliable air conditioner capable of keeping your home cool and comfortable. We can ensure that this is the case by handling your AC installation in Kingsburg, CA. Before we can install your new cooling system, though, you first must decide what type of system you’ll use! It can be a bit daunting, as there are so many options to choose from. One that you are wise to consider carefully is the heat pump. At this point, you’ve hopefully had your heater tuned up so that it is ready for the chilliest weather of the year. There is still time to schedule that service if you haven’t already, of course. Just remember that routine heating maintenance isn’t the only factor to consider when it comes to keeping comfortable efficiently this winter. You also need to know that your home is properly insulated. If you have any reason to suspect that you are living with subpar insulation in Kingsburg, CA, just give a member of our team a call. We can determine if insufficient insulation is behind the problems that you’re experiencing. Posted in Insulation | Comments Off on Is Your Home Properly Insulated? After another long, hot summer, many homeowners are looking forward to cooler weather. Before long, though, the weather is going to cool down enough that we’ll have to start heating our homes regularly. Modern heating systems are safer and more reliable than ever before, but no heating system is ever going to be 100% perfect. That is why heating your home safely must be kept in mind. While we’re willing to be that you can think of at least a few more exciting to spend your money on than a water heater, the fact of the matter is that no water heater will last forever. If and when you do need to replace your water heater, or if you are buying one for a brand new property, remember that there are multiple options to consider. The use of tankless water heaters in Kingsburg, CA has become more and more common over recent years. A tankless water heater is not, of course, the right choice for every home or homeowner. Many can benefit greatly from the use of such a system, though. Read on to learn more about some points of consideration, and remember to schedule your water heater services with our team.